Welcome to the all new Tony Dickens Music! 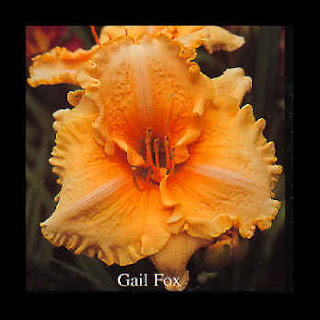 We're proud to announce that The Gail Fox Project is complete and will be released August 12, 2010. Stay tuned for CDs, streaming music, downloads, merchandise, and more. What is The Gail Fox Project? I am on my usual Sunday morning 4-mile hike. Upon returning, I stopped at a local store to buy a newspaper. Below the masthead of our local paper, the masthead reads, "Dickens sought for questioning in the death of Gail Fox”. I immediately went to my house, got my bike, and headed to the police station. I thought, "Why am I to be questioned? I don't even know anyone named Gail Fox!" For some reason, I felt compelled to stop and check my mail at the post office. There I found an old crumpled envelope addressed to me. Inside the envelope I found stock certificates which had been issued to Gail Fox in the 1940s. They were significant stock holdings in one of the world's largest corporations. A sudden chill gripped me as I realized there was no connection that I knew of, between me and the mysterious Gail Fox. I would have to explain this to the police. I thought it was only a dream, but it was actually a portal through which Gail Fox connected with me, and we merged into the alter ego, Anthony Dark. These songs and the full length story on the website are a distillation of the dreams, thoughts, and beliefs held by Gail and, to some extent, me. They are an attempt to refine the writings of Gail Fox, imaginary or not, and present them to the world at large. As time unfolds, more will be shared, but for now, enjoy the music, absorb her words, my words, and enter the mysterious world of Gail Fox. Gail created Anthony Dark within me. Was I just an incarnation of some former person in her life? Were we two spirits that had lost touch with each other? Gail created Anthony Dark to tell her story. From her journals and dreams songs began to flow. Though I've written for years, the channeling of the “Gail Fox Project” was a profound experience that continues to influence my thoughts and writings. This story has become a searing and powerful connecting point to realism in my life. The creation of the alter ego, Anthony Dark, was born at the same time as the death of a close personal friend. The loss, the dreams, the readings, the songs and the questions have all been a lot to absorb. I was involved in a life altering car accident a few years after I began reading Gail's journals. Whereas I cannot say the accident changed the way I view life, it did change how I view death, and how I am viewed. I am forever altered as a result of my connection to the Gail Fox story. This project, along with the website, contains the song lyrics to make the story easier to follow, in delivery of this timely and powerful message. It describes the circumstances that exist in the last days of the life of Gail Fox. This story articulates disenchantment. Maybe I'm just here to increase the echo! Gail's last communication ends with Anthony Dark. I don't know what comes after this. . . maybe nothing, or maybe everything we missed. I guess no one knows, and the secret is what is blessed. The songs have been produced as a pop culture intrusion on a dormant society. I began work on the songs and story as soon as the first visit occurred. Since 2002, I and my entourage of friends and music relatives have worked on this project alongside our other musical endeavors. My first CD, “At a Glance”, was released late 2007 by Tony Dickens and Friends. It ended with an "E" minor at the end of the final song "Father Time & Mother Nature." Maybe that song's message is the gateway to the Gail Fox Project. That same "E" minor begins this project. Something about the flattened third of "E" seems to be in harmony with the Gail Fox story. When you consider Bach wasn't allowed to compose or perform music with a flattened third (minor) because it was considered to be Lucifer's chord, we're fortunate to have the liberty of using the flattened third. . . Orwell! I hope you find the connection of our music and her lyrical thoughts appealing. Content © 2010 - Tony Dickens Music - All Rights Reserved. Wordpress Theme by pixel. Sweet icons by famfamfam.